At this point, it’s likely that you’ve put in quite a bit of time into GTA V. We’ve already shown you how to earn infinite money in GTA V, and we’re bringing another tutorial to you today. If you haven’t beaten the game yet, certain missions will prove to be more difficult if you haven’t properly maxed out your character’s stats. 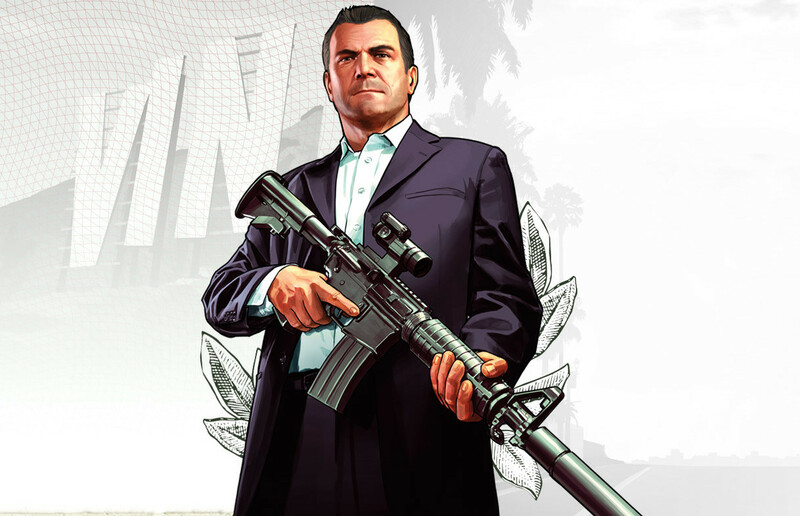 We’re here to make those missions easier by showing you how to max out a character in GTA V.
There are a total of eight stats in Grand Theft Auto V, and you’ll need to perform a variety of tasks in order to fully max them out. Below, we’ve included each statistic as well as tips on how to get them to their highest level. Benefits: Increases your ability to run, swim, and ride a bicycle at fast speeds without damaging your character’s health. How to increase it: Every eighteen yards you run, minute you swim, and minute you cycle will increase this stat by 1%. This statistic is one of the easier items to increase if you’re a fan of exploring. Benefits: Increases your ability to carry higher capacity magazines, have better accuracy when shooting, and improves your reload time. How to increase it: Killing enemies works, but getting headshots drastically increases the rate at which you’ll improve this statistic. Attending a shooting range will give you 3% per gold medal, 2% for silver medals, and 1% for bronze medals. Benefits: Increases your ability to, well, drive. You’ll also have an easier time trying to perform any tricks, such as wheelies, on a motorcycle. How to increase it: Perform wheelies while on a motorcycle on the highway and perform as many stunt jumps as you can find. Successful stunt jumps will go a long way in improving your driving statistic. Benefits: Reduces the impact that the wind has on your plane while flying, and makes tricky air maneuvers easier to perform. How to increase it: Attending and completing Flight School will be your easiest route to improve this statistic. You are able to just fly for long distances and land a plane properly as well, but Flight School is a much quicker option. Benefits: Increases the amount of time that your character is able to hold their breath underwater. How to increase it: You’ll need to practice swimming and diving underwater for periods of time. Be sure to not wear scuba gear while doing this, as it won’t increase your lung capacity at all. Benefits: Increases how fast your character moves while in ‘Stealth Mode’ which is activated by clicking the left analog stick. You’ll also see a reduction in the noise that you generate in ‘Stealth Mode’ as well. How to increase it: While it’s much easier at times to just go in shooting weapons, practice taking down enemies in ‘Stealth Mode’ and perform as many stealth takedowns as you can. Benefits: Increases your skill for playing sports in the game, how much hit damage you can generate, the speed of which you can climb objects, and your character’s durability. How to increase it: For Michael, you can quickly increase it by winning a match of tennis. For other characters, focus on beating up opponents with your fists and participating in various sports. Benefits: Increases the maximum storage capacity and the duration of your character’s special skill. How to increase it: For Michael, focus on getting headshots and using his special ability. For Franklin, use his special ability while driving the opposite direction that the traffic is going. If you follow the tips above, you shouldn’t run in to any issues with trying to max out your stats in GTA V. Are you still stuck after reading out tips? Be sure to let us know what you need help on by leaving us a comment below, or ask us on Facebook and Twitter.